It's something I get asked by students of all ages. The Universe is expanding, but the Universe is (by definition) everything...so what the devil is it expanding into? Admittedly, most of my students don't phrase it like that because they're not 19th Century businessmen, but you get the idea. I usually do my best to give an answer on the fly but it's a surprisingly tricky thing to deal with because there are lots of misconceptions and variables we have to take into account. I'm afraid the answer isn't something simple like "your mum's face". It gets very strange, very fast. How do we know it's expanding? If you look at the stars, everything seems simple. They follow predictable patterns and, the occasional comet or meteor aside, nothing seems to be moving around very much. For the longest time we assumed our Universe was completely static, but in 1912 we discovered something very unusual. Imagine asking someone to do an impression of a car going past on a motorway. Pretty much everyone will make the same noise: Niieeeeeaaaaaoowwwww! It's hard to write it but you can imagine the sound I'm trying to describe. It starts off as a high pitched whine and then gets lower as it shoots past you. You may have also noticed the same effect when an ambulance goes past your house. The blaring of the siren seems to gradually droop as it moves away from you. 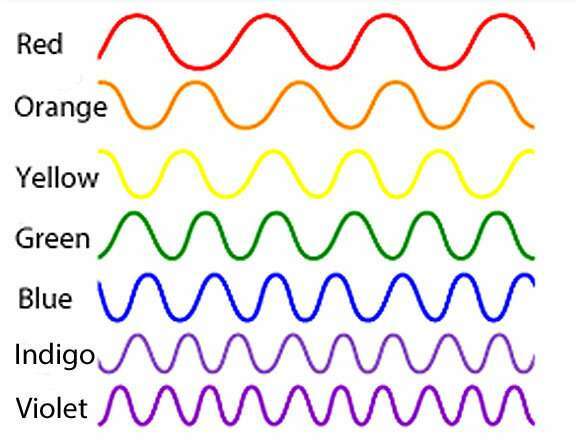 This phenomenon is called Doppler shift and the diagram below shows where it comes from. The sound waves are depicted as ripples. If you imagine standing in front of the car as it approaches, the soundwaves are being squashed since the car is moving toward its own wavefront. The result is that your ear drums pick up lots of compressions per second aka a high frequency sound. By contrast, if you are standing behind the car the pulses are stretched out because the car is moving away from you and your ear will detect a low frequency sound. High frequency sound is what our brains percieve as higher pitch, while lower frequency sounds correspond to the lower notes. This is why the car's sound appears to go from high to low as it shoots past you. The waves are going from compressed to rarefied, creating a pitch differential. But it's not just sound waves that do this; any type of ripple exhibits the Doppler phenomenon. As you probably remember from high-school physics, beams of light exhibit a wave-like property. The nature of light is complicated but we can think of it as a ripple in an invisible field. This means a beam of light can appear stretched if it's moving away from you and vice versa. If I were to throw a torch at your head, the beam of light will be slightly compressed before it hits you. And if you throw it back to me, the beam will be stretched as it moves away. This means beams of light can appear as higher pitch or lower pitch frequencies. Except instead of giving a different note it gives a different colour. A high-pitched beam of light is what we think of as blue/violet, while a low-pitched beam of light is what we percieve as red/orange. Although it sounds hard to believe, an object moving toward you appears slightly blue and an object moving away will appear slightly red. This is an imperceptible effect however, partly because light waves are tiny and partly because your eye isn't sensitive enough to pick up on it, but it is there and you can detect it with the right equipment. It was in 1912 that a man whose name (amazingly) was Vesto Slipher discovered that light from other galaxies was red-shifted. If you want to go into detail then technically what he discovered was that the Fraunhoffer lines were redshifted (feel free to look that up) but it amounts to the same thing. Distant galaxies give off light which is being stretched. 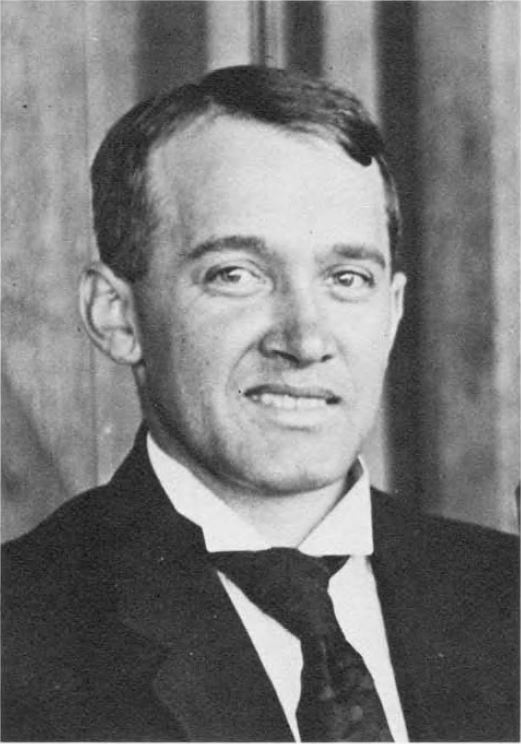 By 1917, the astronomer Edward James Keeler had made a careful measurement of all the known galaxies and discovered that on average everything was redshifted and therefore moving away from us. There are a couple of exceptions e.g. the Andromeda galaxy is blue-shifted, but the average picture is clear. Everything in the Universe is moving away which means the whole thing is expanding. Here's some photographs of Slipher and Keeler - they don't help with the explanation but I had to include them for the look on Slipher's face. The first gut-reaction everyone has to this discovery is to be spooked by it - is Earth truly the centre of the Universe? Why is everything moving away from us specifically? This is where most of the misconceptions stem from, so let's get detailed. The idea that all galaxies are flying away from us is wrong. They aren't. In 1927 Edwin Hubble discovered that the further out you looked the faster things appear to be going. Imagine you were looking at a particular galaxy, call it "A" and measured its speed as 100 m/s. Then say there was another galaxy further away, call it "B", and B was also moving away from you at 100 m/s. Both galaxies are flying away from us at 100 m/s. But now imagine standing on galaxy A and looking at B. B is moving at 100 m/s too, so you wouldn't see it moving at all. It would appear stationary because you're both matching its velocity. You would see it at a constant distance and it would be planet Earth which would appear to be moving away. What Hubble discovered is that galaxy B is actually moving at 200 m/s from our perspective. This means an observer in galaxy A would look at B and say "galaxy B is moving away from me at 100 m/s, just like the Earth is." In other words, an observer in galaxy A would also see everything moving away from themselves. What Hubble showed was that because things further out appear faster relative to us, this means there is no "stationary point" of the Universe which everything is flying away from. Actually, everything is moving away from everything else. There is no "centre of the Universe". Every point could be described as the centre, which starts to make things hard to visualise. However, the point of Hubble's discovery is that nobody can claim to be the centre of the Universe no matter how much they might want it to be true. The fact that the Universe is expanding in all directions without a centre doesn't make sense. How can all the galaxies be flying away but not be flying away from a specific point? The answer to this question was actually solved in 1923...four years before we even knew it needed solving. Sometimes Science is like that. The Russian physicist Aleksander Friedmann had been playing around with Einstein's theory of general relativity (1915) and discovered that if you assume the fabric of space itself was somehow stretching, the equations still worked. Friedmann was, largely for fun, seeing if it was possible to create a theoretical universe in which the fabric of space was expanding and it turned out to be legitimate. It sounds wrong to imagine empty space having any kind of property,but it was just equations on a piece of paper; a mathematical curiosity which described a possible Universe, not the actual one. Once Hubble had discovered the Universe was expanding in all directions however, people began looking at Friedmann's ideas seriously and realised they match what we observe. In a Friedmann universe, it's not the objects which are all flying away from each other, but the background of empty space which is stretching, creating the illusion of objects moving. Was it possible that Friedmann's theoritcal universe was accidentally the real one? Pretty soon we turned Friedmann's equation into a testable prediction: if the expansion is an illusion caused by "space-stretching" rather than "object-movement" it should be detectable in the form of a microwave signal in deep space. The reason why Friedmann's equations predict this are laborious and mathematical so I'll skip over them...the outcome is simple: if it's space which is expanding we should discover a microwave-hum to the entire Universe which would be caused by beams of light from the early expansion getting stretched out. In 1964, such a signal was discovered by Arno Penzias and Robert Wilson and it's unmistakable. As crazy as it sounds, the galaxies of our Universe are not drifting away from each other like an explosion. They are "standing still" and it's the empty space between them getting bigger. Here's a photograph of Friedmann, again, just for the look on his face. Fun fact: Friedmann was the original spokesperson for Sunny-D, except in those days it was just called "Miserable D"
The problems with the analogy are twofold. First, the balloon clearly has a centre...it's the point inside where you're blowing air into. It also shows the balloon expanding into the room you're doing the demonstration in. What we have to be clear about is that the interior of the balloon and the exterior of the balloon are NOT part of the analogy. Essentially, you have to ignore the fact that you know the balloon is being inflated because we're pumping air in and ignore the fact that there is a room surrounding you. You have to focus on the surface of the balloon only. 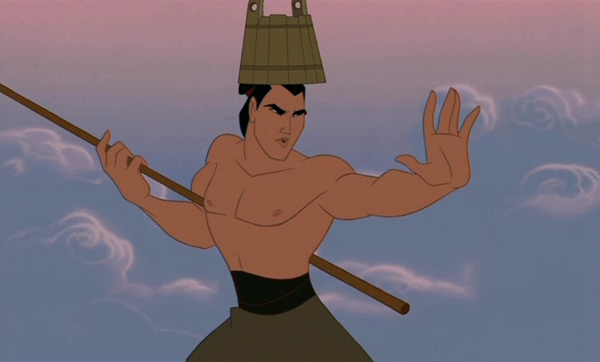 This two-dimensional surface is what the analogy is really about. If you imagine you're some kind of microscopic bug living on the surface of the balloon, as you look around you'll see galaxies moving away and space expanding. We can't easily demonstrate the 3D process but we can simplify it by compressing the third dimension into just two. The second problem is that the rubber is still made of particles which are being spread as the balloon expands. The reality is that empty space is not made of particles which are rearranging and spreading. It's the fabric of empty space which is expanding and it doesn't have any finer structure we're aware of. But, if you can bypass those two problems, the balloon analogy is pretty good. It shows that it's space between dots expanding, shows the overall space/volume of the territory getting bigger and shows that the dots themselves aren't expanding very much i.e. the galaxies themselves aren't getting much bigger, just the region between them. Technically, becase empty space is stretching then yes, the distance between two stars will slightly increase over time (the dots on the balloon will gradually grow larger as the ink molecules are moved) but the effect is too small to observe. It's also very useful in showing that the Universe has no centre. If you imagine asking the little bug to find the central point of the balloon's surface it wouldn't be able to. For the same reason a circle has no start and stop, the surface of the balloon has none either. You could pick any point on the surface equally. The "centre" of the balloon exists in a higher dimension than the bug can percieve. I've also heard a pretty good analogy which is to imagine the Universe as a blob of dough with chocolate chips in it. As the dough is cooked it expands and the chocolate chips end up further away from each other. Although even the word "expands" could be misleading. Stretching is really what Friedmann had in mind. OK...but seriously, what's it stretching into? Now that we've covered what the expanding universe theory actually says, we can address the question properly. Even though the balloon analogy isn't perfect, it shows that the volume enclosing all the galaxies is increasing. In the dough analogy you could eventually get to the edges of the dough and ask yourself what was beyond and in the balloon analogy you could measure the thickness of the balloon's elastic and notice that this is gradually getting thinner. So the questions is still there: what is the background that we measure our Universe against? Or, it can be phrased in an even simpler way: what is outside the Universe? And this is where things get interesting. There are, at present, three llikely contenders for dealing with the question. This one is the simplest to visualise. The idea is that our Universe really does have a limit 14 billion light years away from us and it separates our Universe from whatever is without. This "without" could have all sorts of properties but it could also be a complete vacuum. Perhaps the emptiness outside our Universe is like some kind of soup and our Universe has an edge made of big-bang material, or perhaps it's just sheer empty space which our "space" is moving into. This boundary to our Universe constitutes an Event Horizon i.e. a surface which separates two regions and makes it impossible for them to communicate with each other. This doesn't mean it's a physical surface (although it might be) it could just be that once you get to the edge of empty space, you just find...even emptier space. This edge of the Universe is sometimes called the Cosmic Event Horizon and it really means the point of perfect ignorance, by definition we cannot know what is outside it. This does of course mean it's entirely possible there are lots of Universes out there which are all occupying this mysterious void and they are gradually expanding into it together. This isn't to be confused with the many-worlds interpretation of quantum mechanics, but it has a lot of the same outcomes: there are a huge number of Universes, possibly infinite, possibly not, and they are all occupying some kind of mega-space. Each Universe could have totally different laws of physics and different historical timelines so anything could be possible provided you pick the right pocket Universe. The previous idea is a strange one but it's not intractably strange. We can just about imagine it. But this next one is a whole other kettle of carrots. It's possible the Universe simply is everything so the question of there being an outside is meaningless. It's like asking what is North of the North pole? Or what's more right-angled than 90 degrees? By definition there is nothing beyond, the universe has no edge, it is just everywhere. This isn't easy to swallow because as humans we aren't very good at picturing infinity. But here's a stab. Consider the following numbers: 1 2 3 4 5 6 7 8 9. We can imagine the number line going on forever in both directions i.e. it is infinite. But now consider this number line: 1 1.5 2 2.5 3 3.5 4 4.5 5 5.5 6 6.5 7 7.5 8 8.5 9. That number line has more numbers in it, I've included the decimal points halfway between each integer, so it's a bigger line...but it's still infinite in both directions. In other words, the second infinity is bigger than the first. I could go further and include other decimal points between each number, in fact I could do that an infinite number of times. There are an infinite number of infinities. In(finite)ception! But the weird thing about infinities is that if an infinity expands (or stretches) then it doesn't have to be stretching into anything...it just is. So it's possible the answer is that there is nothing outside the Universe, it is literally everything, so it's expanding and that's all there is to it. That one isn't exactly easy to digest, and personally I'm doubtful of it (I won't bore you as to why). But it is a possibility. And that's just the nature of infinity. It goes on forever. Have you ever played the really old mobile-phone game "snake"? If you've not, the idea is simple. You control a pixellated snake which has to move around the phone screen eating other black pixels. I dunno, scones or something, whatever snakes eat. What made the game really interesting was that if you went off the right-hand edge of the screen you reappeared on the left-hand edge. If you went upwards you just appeared at the bottom and so on. The snake-game Universe was infinite as far as the digital snake could tell. If it went in one direction forever it just kept coming back to where it started. The snake was a 2D creature who thought it's Universe had no edge, but we as higher-dimensional beings (3D creatures) could see the entire size of the snake's Universe. The real answer to how this would be possible is that the snake's Universe was actually curved in the third dimension (our Universe). It looped back on itself so that actually the 2D Universe the snake percieved was really the surface of a sphere. If you're a 2D creature living on a sphere then you would see the Universe expanding in all directions because it was looped around on itself in a higher dimension. Remember it's not the objects on the screen flying away from each other, it's the screen itself stretching. Now all we have to do is go back and add one extra dimension. We 3D creatures may find that if we travel in a straight line we end up back where we started. It would seem strange to us, but to a 4D being looking "down" they would see our Universe was curved back on itself. So in a way the Universe is simultaneously finite and infinite depending on your perspective. It might be infinite in the 3rd dimension but finite in the 4th. It could have an edge as far as a higher-D creature can tell but to us we'd never see it because we're trapped in our 3D world. So what our Universe is expanding into could actually be a higher dimension. That's why I enjoyed playing Snake anyway. The answer to the Universe expansion hinges on a lot of unknowns. There are sub-theories of the ones I've mentioned above and there are subtle details I've missed out, but it looks very likely that one of these three explanations is correct. Conclusively answering it is going to prove difficult however because there's a limit to how far into space we can actually see. The further out something is, the older it is. Which means that when we look at objects far away we're also looking back in time. The furthest objects we can see today are galaxies which formed a few million years after the big bang expansion started. 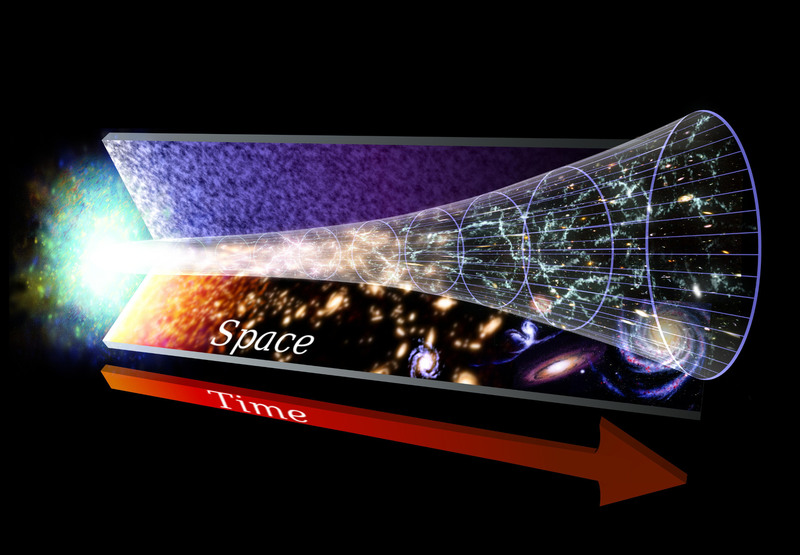 We can literally take photographs of the early Universe and figure out how it evolves. But that presents several difficulties. As far as we can tell, our Universe took its current form 14 billion years ago. This means the farthest out we could ever hope to see would be 14 billion light years. Beyond is also "before" and asking what happened "before the start of time" gets sticky and possibly meaningless. There's also the fact that the very early Universe was opaque and glowy, meaning we won't really be able to see past the early wall of light to what came before it. I'm afraid going out to the edge of the Universe and looking to see what's there is probably not feasible...not with today's understanding of Physics at least. So it's going to have to be elsewhere that we need to look. If there are higher dimensions then maybe we can detect them. If there are other pocket Universes then maybe they influence ours in some measurable way. At the moment, we just don't know so this question remains speculative. The Universe is expanding, that much is clear. The fabric of space is what causes it, but beyond that we are still piecing the puzzle together. And there we have it. The Universe is either expanding into a multiverse, it is infinite so isn't expanding into anything, or it's expanding into itself via some hyperspace curvature. I'm afraid these questions always lead to wierd territory but that's because we're dealing with the fundamentals of reality, it would be a surprise if it didn't bake our brains. Not to mention a disappointment. Personally I'd rather live in a Universe which takes effort to explain.